If you asked Americans 10 years ago what their biggest fears were, chances are many would have said domestic terrorism. Today, another type of criminal has U.S. citizens on edge: the cyber thief. 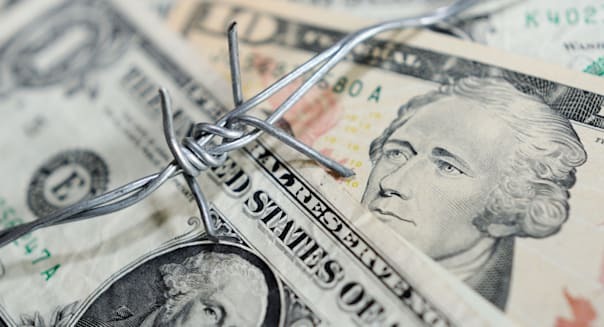 While national security is still a big worry, a recent survey of 1,000 Americans by IT firm Unisys identified financial security such as credit card fraud as the biggest security concern for 2014. Perhaps to blame are the growing number of high-profile attacks. The December Target (TGT) breach led to the theft of 40 million card accounts, and 70 million names, emails and addresses. "Security threats against enterprises have grown exponentially -- in size, scope and sophistication," Unisys said in the report. "While cloud computing, BYOD and social media are changing the rules of the game for enterprises, they have intensified security challenges for CIOs and CSOs like never before." For the first time since the advent of the Internet, cyber security is now a boardroom and c-suite-level issue. Target's CEO and CIO both stepped down because of the breach -- and chances are this isn't going away anytime soon. Financial security was the top concern among Americans polled, notably the abuse of their credit card data. Fifty-nine percent of Americans polled -- up from 52 percent last year -- said they are now "seriously concerned" about the possibility of their card information falling into the wrong hands. %VIRTUAL-article-sponsoredlinks%Thirty-seven percent of Americans in the Unisys poll also said they were worried about the security of online shopping and online banking, up from 34 percent last year. "Businesses that ignore the risk of data breaches do so at their own peril," Unisys said. The thought of having a person impersonating your identity is almost as frightful. Fifty-seven percent of Americans in the survey said they were seriously concerned about someone gaining access or misusing their personal information. Some 16.6 million U.S. residents over the age of 16 were victims of at least one incident of identity theft in 2012, amounting to more than $24.7 billion in direct and indirect losses, according to the latest Victims of Identity Theft report by the Bureau of Justice Statistics. Of course, war and terrorism are still major concerns -- third on this list. Forty-seven percent of Americans (about the same as last year) listed war and/or terrorism, as well as other issues affecting national security, as major worries in 2014. This comes as unrest spikes in other parts of the world, including in Russia and Ukraine, and about a year after the Boston Marathon bombing -- the worst domestic terrorist attack since Sept. 11, 2001.